Vintage style wooden crates. A great prop and a handy place to store your splurge guns on stage. Size is approximately 81cm wide, 34cm deep and 28 cm high. These wooden crates are a great addition to your Bugsy Malone on-stage props. 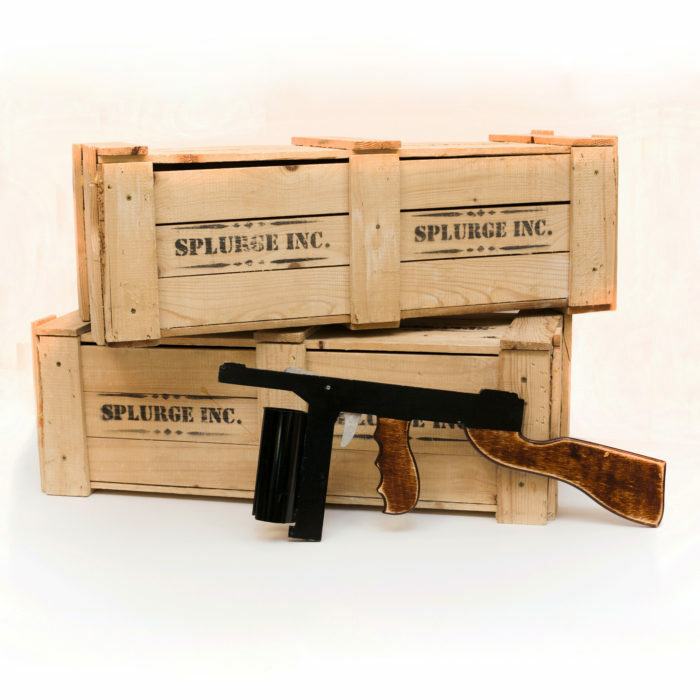 Our Splurge Guns fit in to these wooden crates, and it looks great when they’re grabbed out of them on stage. 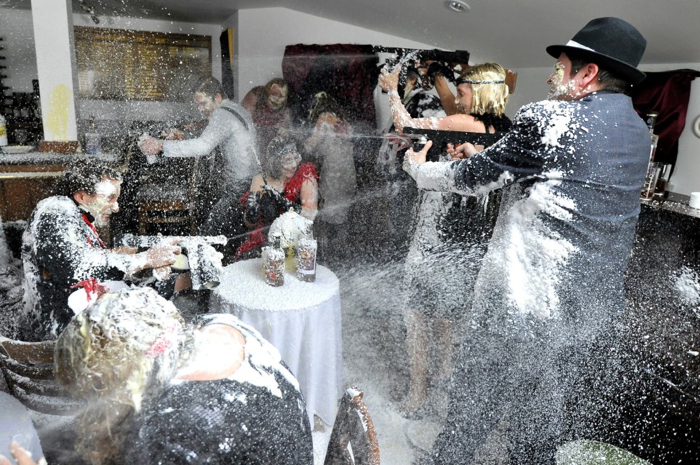 It also makes a great background stage prop and really adds to that Speakeasy 1920’s feel that the Bugsy Malone movie has. There are two sizes of wooden crate on our website. This is the smaller of the two. The large wooden crates can hold up to ten guns and the small wooden crates can hold five splurge guns.